Data collection and management within a city is often decentralized and stored in departmental silos, where each city manager creates a "cockpit" of data and a set of tools for managing specific city facilities. This approach makes it difficult, if not impossible, to generate a city-wide view of the data. 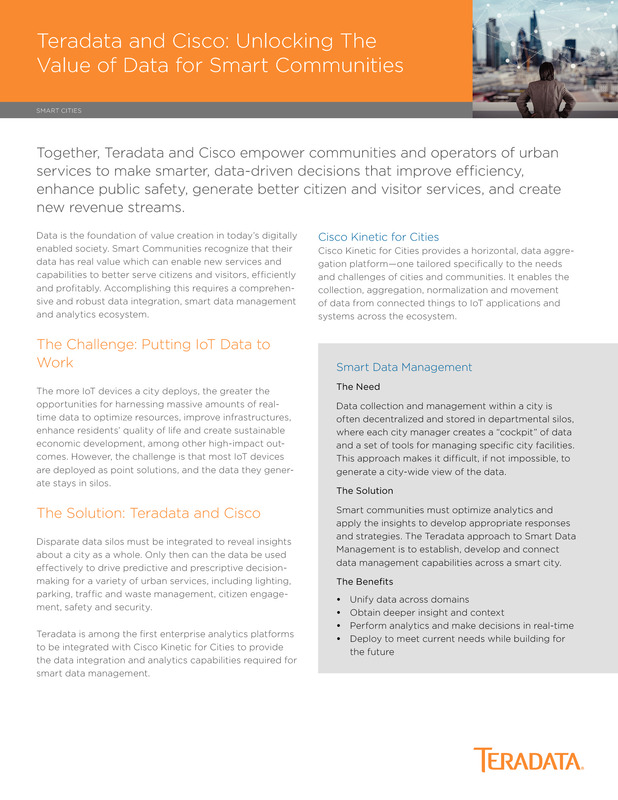 Disparate data silos must be integrated to reveal insights about the city as a whole. Only then can the data be used effectively to drive predictive and prescriptive decision-making for a variety of urban services, including lighting, parking, traffic and waste management, citizen engagement, safety and security.